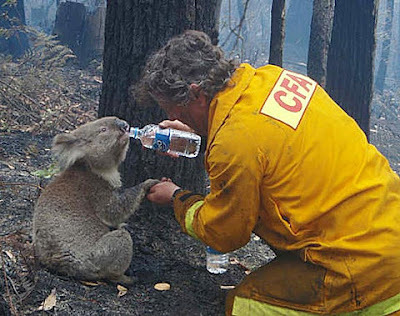 I couldn't not post about the disastrous fires people that have been tearing through the Victorian bush recently. This is an horrific occurrence and even with the media swarming over and over-sensationalising it, the gravity of the situation is undeniable with 128 dead (with more expected) and shitloads of damage. You can donate to the Red Cross, give blood and help the wildlife. Among other things.